One of the first ways that I began my green journey was switching out my cleaning products, especially my laundry detergent. Why? The clothes that I wear, the towels that I shower with, and the sheets that I sleep on, rub on my body. Plus I am breathing it in! Did you know that many conventional laundry detergents use synthetic surfactants and artificial dyes and fragrances? These are some of the leading causes of itchy eyes, skin irritation, and respiratory issues. This month I have been trying a new detergent. Achieve Clean All Natural Laundry Detergent is not only eco-friendly, but they are dedicated to creating jobs for people with disabilities. Let me tell you more! Water and Plant based ingredients. No oil base. No harmful additives. No parabens. Use 1 ounce (1!) of biodegradable solution in your load. Made local in the Twin Cities. Each container is bottled, labeled, and distributed by people with disabilities. 100% of the proceeds are invested into programs that create jobs for them. 100% refund of your money if you aren’t satisfied with the way it cleans. Is your laundry green? Feel good about what you use! 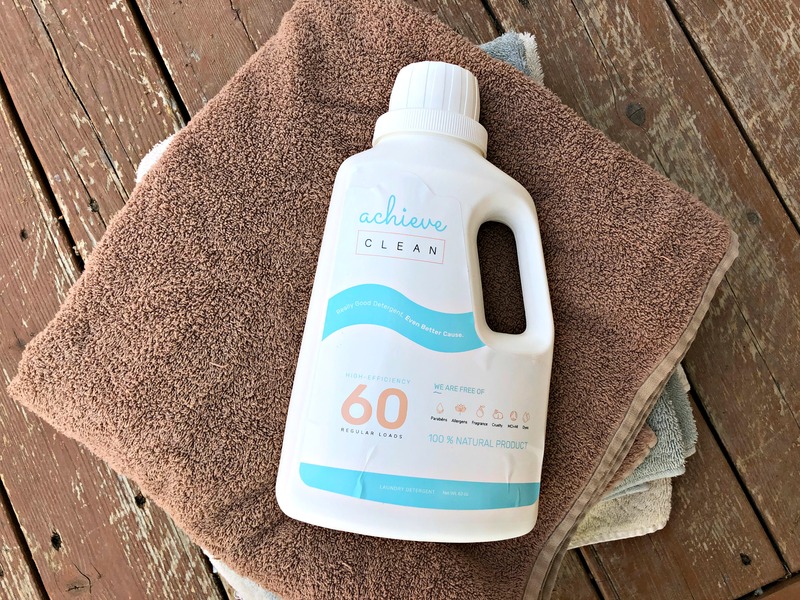 Buy Achieve Clean All Natural Laundry at their website – by the bottle or a subscription. OR shipped everywhere from Amazon. 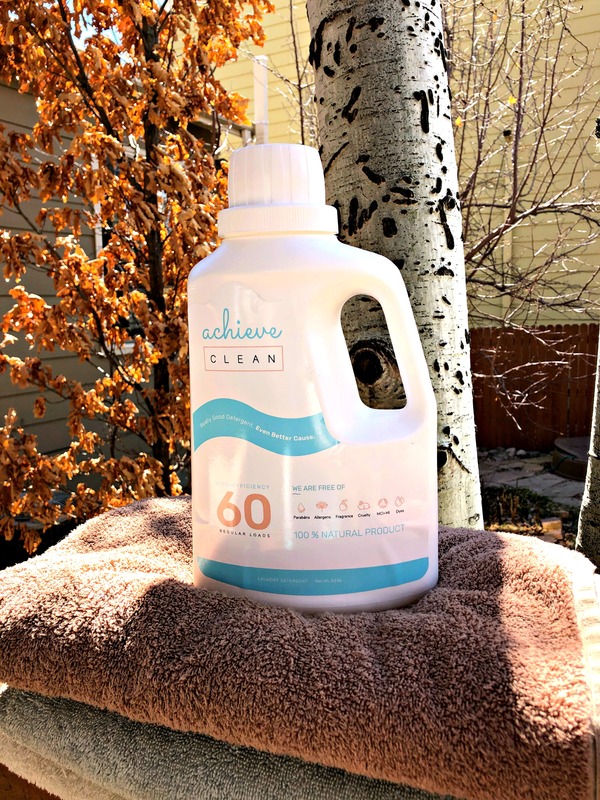 WIN a bottle of Achieve Clean All Natural Laundry Detergent! This is a paid sponsored post from Achieve Clean. All opinions are definitely my own. Amazon link is affiliate. This giveaway will end on April 8, 2019 at midnight MST. Winners will be drawn via rafflecopter. Once a winner is drawn I will contact them and they will have 48 hours to reply before I draw a new winner. Giveaway is open to anyone in the US. You must be 18 years of age or older. Giveaway is not affiliated with Facebook & I release them of liability. Winner will be posted in the rafflecopter widget. I do make some of my own cleaners. This company sounds great! Thank you for sharing this find. I only buy "green" laundry detergent. I do like to try new products. I sure am green! Use products that are natural or make my own. Just want to avoid all the dangerous ingredients in foods and everything else. Yes. 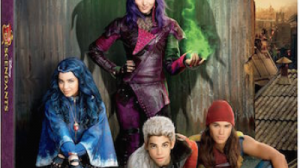 We try very hard to be green. Love being Eco friendly! My fiancee never even recycled until we moved in together. I am continuously making choices for healthier and greener products. I like also that this company helps people with disabilities. I buy what my family can handle because they have sensitive skin. Im not totally green yet ,but im changing my lifestlye and am trying to go 100% green! I'm not green all the time but have switched a lot of products to green products. We try to be as green as we can! I should give going green a try. I just ordered a sample. Can't wait to try it! Thank you! This sounds like a great detergent. I have been switching to more green household products. I'm getting greener every day LOL I use a brand I trust, but am always open to new ideas. I'm a little green, but I need to become more so. I wouldn't say I'm green but I do try to use only all natural detergents and body care. Sounds like a great company. I try and be green as much as I can. I am not very green. Would love to try this product though. I'm all for being as green as possible. I use vinegar a lot for my cleaning needs. Guess should be, but afraid I'm not green. I definately am green & I have been for a long time! Sometimes I'm green with envy, and yes I do try to recycle, reuse, etc. We try to practice being green, as much as possible. I am trying to switch to green household products. I make some of my own cleaners. I like to use all natural cleaners in my home. I'm not 100% green but I'm working on it. I try to be green-it's tough sometimes! I am definitely green and I love chemical free and safe products. I would really like to try this! Just signed up to get to get a sample, 99 cents is a great deal! Sometimes I try to go green! I am a little green but I could do more. Just hard to do when you have disabilities and everything takes extra effort. I am green when it comes to laundry products, I don't like all the additives touching my skin. Yes! We are trying our hardest to be green in every way possible! I love the ingredients in this detergent and would love to try it out! I try my best to be green. Thanks for the contest. I try to be at least reasonably green--sometimes the cost can become difficult financially though. Going more green is one of my new years resolutions this year. I have so much to learn! Would love to try this product! Thanks for the chance! I have never tried green laundry detergent before, but I would like to. I'm trying to go green! :) I already use some cleaners for the kitchen and bathroom that are natural or homemade. while I am not 100% green, I do like to recycle what I can. I hate throwing things out and if it can be repurposed or reused by someone I am all for it. One thing I do want to get more green in is chemicals for cleaning etc... I have tried some and they worked ok but did not completely meet my expectations. There are many brands out there though, so I think it is just the matter of finding the right one. I love to be green and do good for the environment. I am not completely green, but I am trying new cleaning products and hoping to find some new products to use for my family. My skin is sensitive so maybe using a natural laundry detergent would be good for me! I'm not as green as I could be. I'm green as much as possible. I'm not currently green but I'm trying to be.